Priya Chemicals is the largest manufacturer of Amino Acids & Amino Acids based products for use in the field of Nutraceuticals, Agriculture, Veterinary, Poultry & Aquaculture. Founded in the year 1980, Priya Chemicals has emerged as a company with scientific spirit & with a commitment to serve mankind. 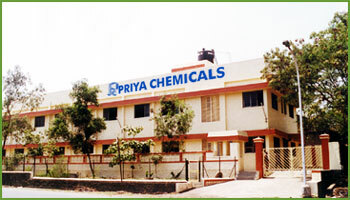 Priya Chemicals has obtained Six Patents of processes developed by in house R & D efforts. Priya has its exports in all continents. The various products of Priya are very cost effective & with better performance than the products available in the world market. Due to the sophisticated technology of enzymic hydrolysis. Amino Acids obtained are in the L - form, are biologically active & are in free state with high purity. Amino Acids so obtained are very active compounds & are maintained in that state by special process of Priya Chemicals which is patented. We offer Technology to set up Plants to Manufacture Amino Acids and Amino Acids Based Products. Address : 2, Larissa, 396 - B, Off : S.Temple Road, Mahim, Mumbai - 400 016, India.